The protracted legal battles of Bruce Aristeo was recently brought to my attention. This case is based in Camden, New Jersey. The story is fairly complicated because there is a lot of “story” to wade through to get to the pertinent legal issues. It has been a challenge for me to distill the pertinent facts from the legal documents I have seen so far. So far, this is what I have been able to ascertain based on my lengthy phone interviews and email interviews with Bruce. For the record, my interviews with him have been very pointed and assertive where I “dug” deep and asked some very tough questions of him. I don’t like wasting my time and energy and I told Bruce directly, I didn’t want him to sugar-coat things for me. Anyone who knows me knows that I can be both blunt and direct in my pursuit of specificity and accurate information. I don’t like anyone lying to me or distorting the facts. So, I have attempted to write my outline with some objectivity. The chronology below is subject to additions, corrections, and further refinement as I get more details. Jody Raines and Bruce Aristeo had a short-lived 4-month personal relationship. They also had a professional, working relationship in the areas of web development and web marketing services. Bruce allegedly ended the personal relationship upon receiving disturbing/disconcerting information from Jody’s ex-husband. Jody and Bruce allegedly continued the professional working relationship until outstanding projects were completed. Bruce was allegedly not paid for $4,500 worth of billable services. Further, Jody allegedly sold intellectual property creations Bruce created without compensation. Consequently, Bruce filed civil lawsuits against Jody. In retaliation, Jody initiated criminal complaints against Bruce for “harassing” her. Somewhere along this timeline, Jody allegedly managed to report in advance to the police that Bruce might attend a business meeting/function with the accusation that Bruce was attending the business events solely to harass Jody, not for the business function itself. He was allegedly arrested for the very first time in his life because of this. The series of cross-legal attacks and criminal accusations ultimately led to the issuance of an “Indefinite” Temporary Restraining Order I have posted below. As you can see, most of the “Indefinite” Temporary Restraining Order (TRO) is actually a standardized form printed on a dot-matrix printer. What makes this Indefinite TRO unusual is that there is a hand-written notation that this so-called “temporary restraining order” is “indefinite”. In effect, this “indefinite” “temporary” restraining order appears to be against Bruce for his entire LIFETIME! What makes this “Indefinite” TRO outrageous is the very last page which is a typed addendum on a plain sheet of paper signed by both Jody Raines and Bruce Aristeo and their respective attorneys. All Municipal Court Actions and VOR actions against Jody Raines are to be dismissed with prejudice including, but not limited to, matters presently pending in Burlington County. Bruce Aristeo will fully cooperate with the Prosecutor’s Office with regard to the dismissal of the actions pending against Jody Raines. The Temporary Restraining Order against Jody Raines shall be dismissed by Mr. Aristeo. All Municipal Court actions against Bruce Aristeo are to be dismissed with prejudice including, but not limited to, matters presently pending in Burlington County. Ms. Raines will fully cooperate with the Prosecutor’s Office with regard to the dismissal of the actions pending against Bruce Aristeo. Both parties agree to not make any disparaging or derogatory comments about the other or to set about on a campaign to malign the other in such a way as to impair either party’s business relationship or to limit the other party’s ability to continue doing business in the Philadelphia/South Jersey market. Neither party shall bear the legal fees of the other party for either the present actions before the Honorable Nan S. Famular, J.S.C. or any of the past or present Municipal Court actions pending or adjudicated. Moving forward, the Honorable Nan S. Famular, J.S.C. shall preside over any future Court actions arising in the Superior Court, Camden County with regard to either party’s breach of the foregoing agreement as to which locations, be they cyber or physical, either party may visit, join or participate with the purpose of conducting business, networking or training. There shall be an entry of an Indefinite Temporary Restraining Order in lieu of a disposition on the merits. Defendant may not attend any business and/or networking meeting at a physical location where anticipated attendance is less that 50 people. This Indefinite TRO can only be dismissed by the Plaintiff. Camden County Chamber of Commerce, it’s affiliates, anything under its umbrella. Bruce was allegedly pressured under prosecutorial threats into signing this addendum that ultimately formed this “Indefinite TRO”. Please note that Bruce is currently forbidden to attend ANY business or networking meetings where the expected attendance is less than 50 people with no regard as to whether Jody Raines will be present or not or whether she is even in the vicinity of these locations. 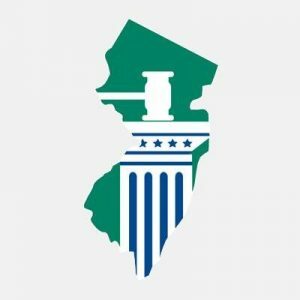 Because restraining orders are typically in effect statewide, Bruce is now also banned from any small business events or functions in New Jersey in addition to the Garden State Rotary Club and any functions related to the Camden County Chamber of Commerce. Essentially, Bruce can attend larger (over 50 people) business functions and events but he is not allowed to attend smaller (under 50) business functions and events. There is no consideration of distance from where Jody Raines might actually be. Bruce is outright forbidden to attend smaller events throughout New Jersey where Jody Raines might possibly attend. And neither party is allowed to engage in “any disparaging or derogatory comments ABOUT the other”? Since when are people forbidden by any court to speak negatively about another person? How is this actually enforceable? This is a First Amendment right to express our opinions of others. This is NOT a confidentiality agreement of any kind. And prosecutorial threats are permissible in Camden, New Jersey to compel people into sign and bind people into outrageous restraining orders? Unbelievable is what I say. As if this isn’t bad enough, Bruce was ultimately arrested and placed into jail holding for 7 months for allegedly violating this “indefinite” restraining order. He has an upcoming criminal trial related to this matter. I will cover this in my next post.